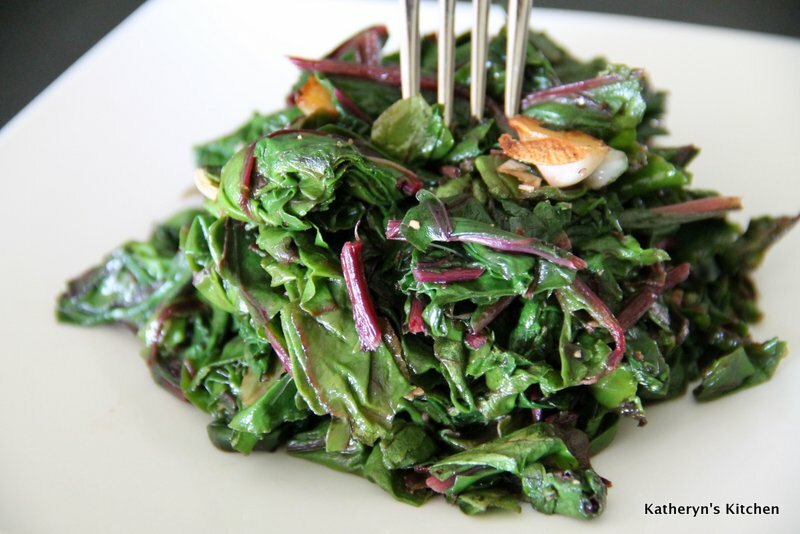 This simple classic (which can be made with any type of green; collard, kale, spinach or swiss chard) is great on its own as a side dish, or you can toss the greens with pasta, add them to an omelet or risotto, or use them in a gratin, a hearty soup or a quiche. 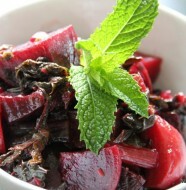 At this time of year there are a lot of beet greens around, so use them, along with the beets. 1. 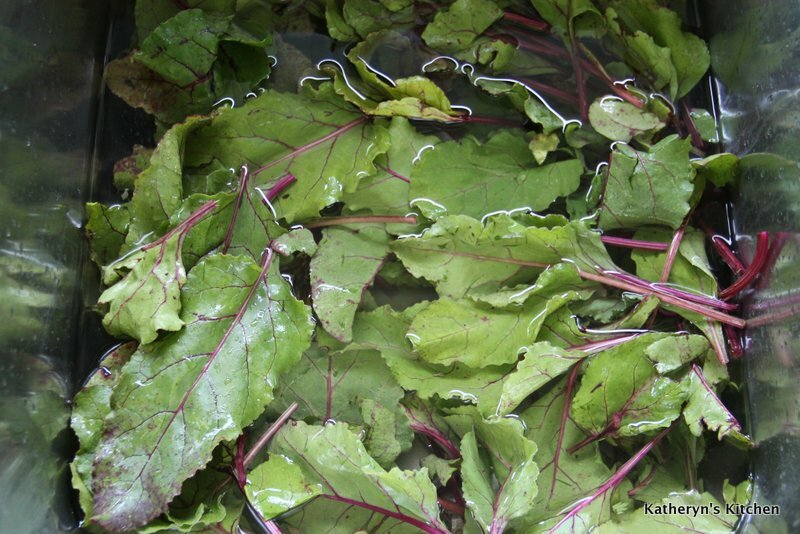 Bring a large pot of water to a boil while you stem the greens and wash the leaves in 2 rinses of water. 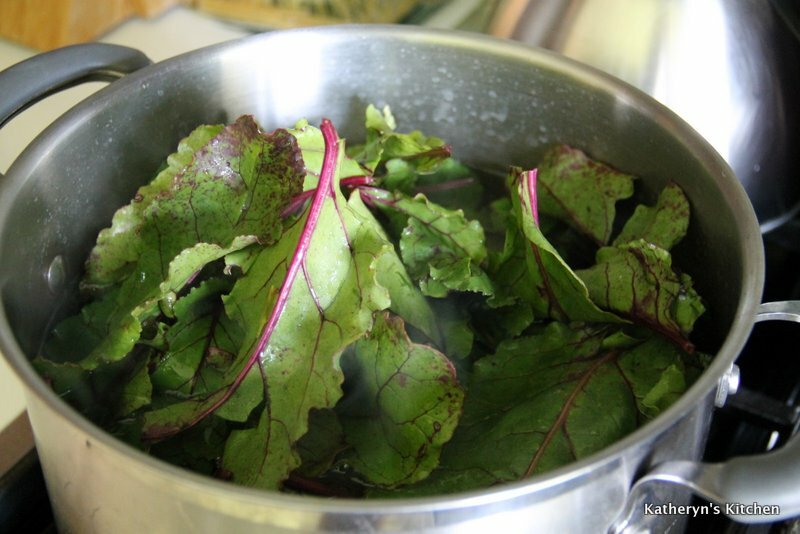 When the water comes to a boil, add 1 tablespoon of salt and the greens. 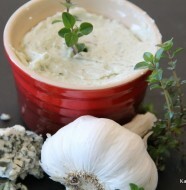 Blanch for 2 minutes, until tender. Transfer immediately to a bowl of ice water, then drain and squeeze the water out from its leaves. Chop coarsely. 2.Heat the oil over medium heat in a large, heavy nonstick skillet. Add the garlic and hot red pepper flakes (if using) and cook, stirring, until the garlic is fragrant and translucent, 30 to 60 seconds. Stir in the greens. Stir for a couple of minutes, until the greens are nicely seasoned with garlic and oil. 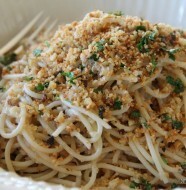 Season with salt and pepper, remove from the heat, and serve. Tip for service: Our friend Trevor mentioned he likes a drizzle of balsamic syrup over the beet greens for a more interesting flavor, so delicious! Note: Some people enjoy a few drops of lemon juice with their cooked greens, so you might want to pass a plate of lemon wedges. 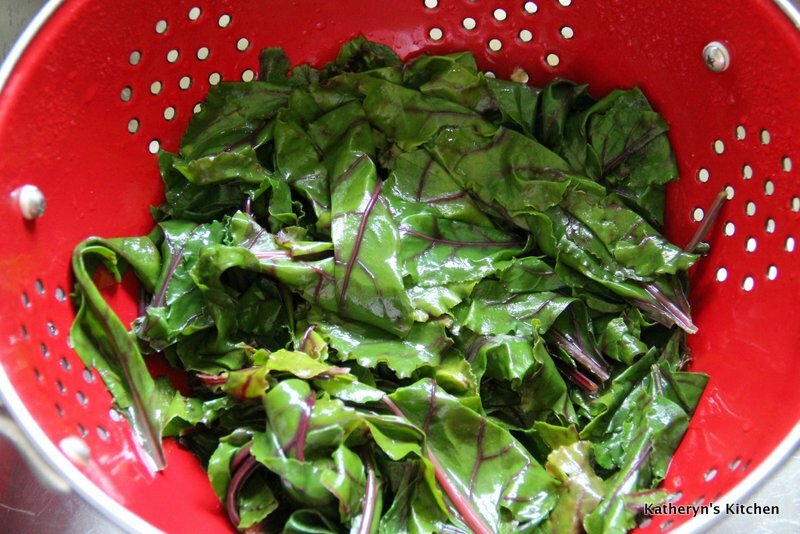 Advance preparation: The blanched greens will keep in the refrigerator for about 3 days.